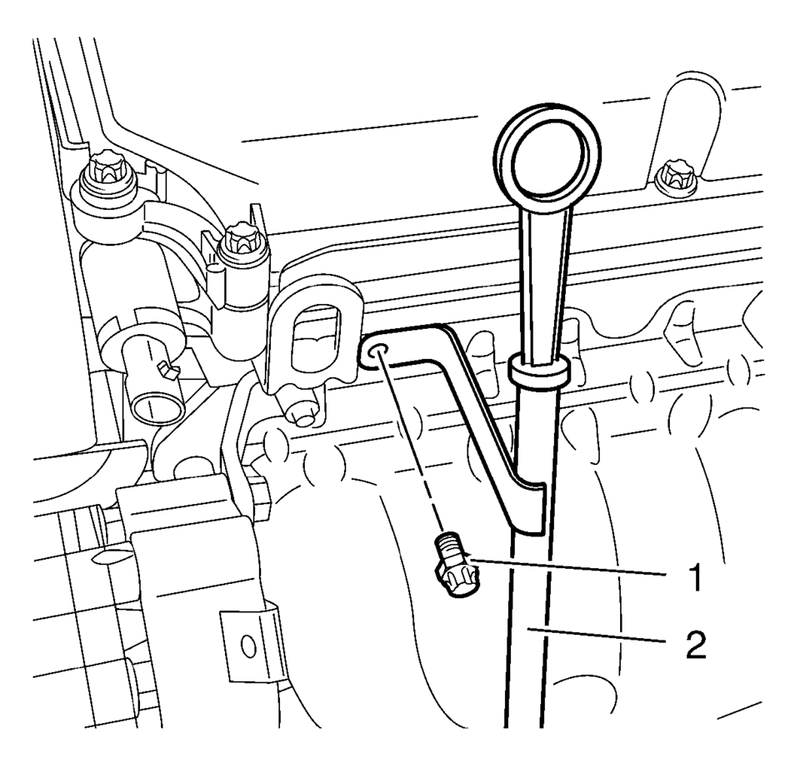 If the engine oil level is at maximum, some oil may emerge when drawing out the oil dipstick guide tube. Remove the oil level indicator tube bolt (1). Remove the oil level indicator tube (2). Install the oil level indicator tube (2). Check the oil level and adjust as necessary.